This has been a rough winter. With a tendency toward seasonal affective disorder, getting outdoors and moving is not just a pleasure, it’s a necessity. With near record snow falls, bursitis in my hip has kept me restricted to walking the streets, out of the woods and feeling out of sorts. 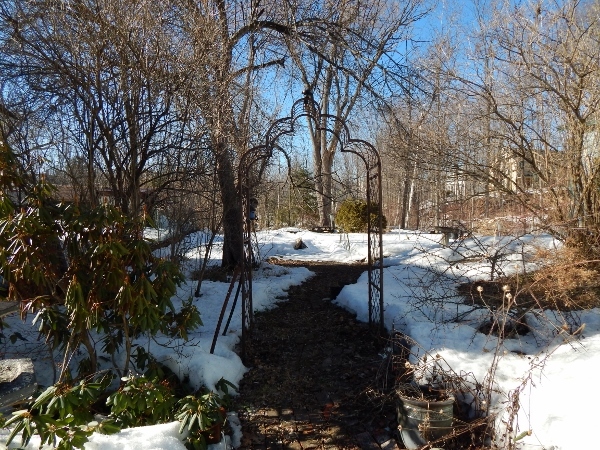 Increasing sunlight in March has gradually lifted my spirits as I try to be patient with the slowly melting snow. 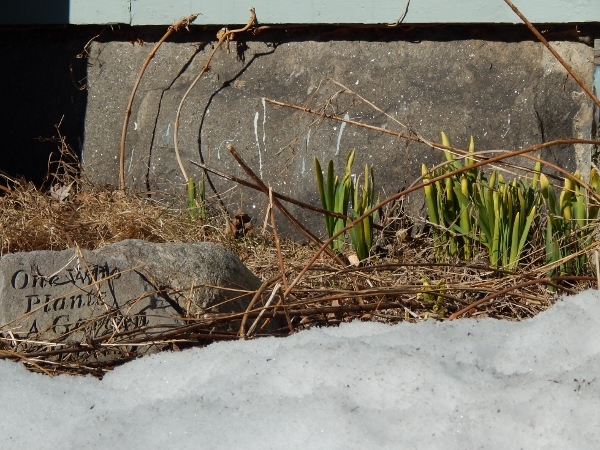 But then a few days ago I peeked around the corner of the house to see how the melting was going on the south side and was delighted to see that the daffodils tucked up next to the foundation had not only started to grow but have buds!. Now I can stop holding my breath against the cold and really exhale. I’ve officially made it through the winter! Waiting to exhale: One who plants bulbs in the garden, really looks forward to spring!